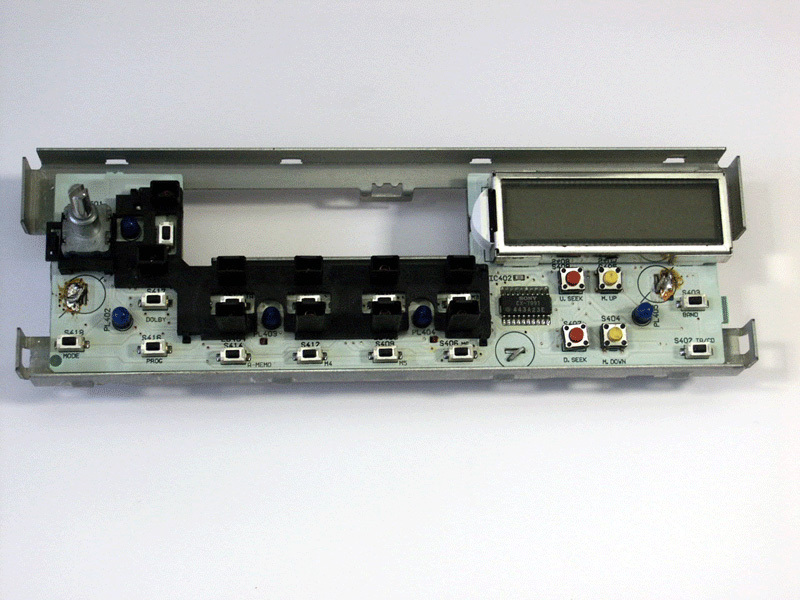 The second picture indicates the not soldered pad in the stock radio. 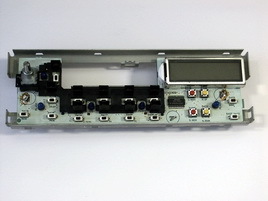 This was forgotten in the automatic soldering programme by the factory. 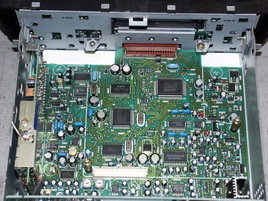 It is in the control / handshake circuit of the CD Changer. 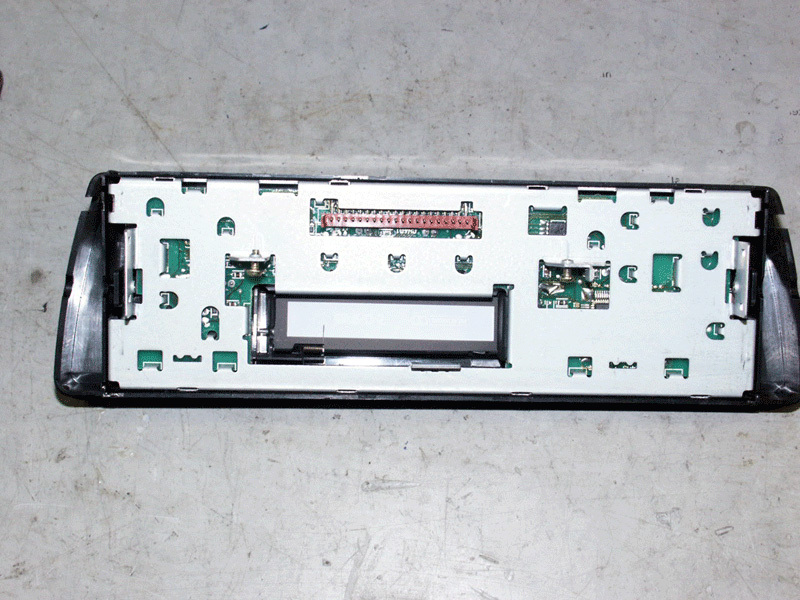 Over time the resistance increased and handshake with the CD Changer is lost resulting in the NOT CONT message. For changing the light bulbs remove the cassette player first. 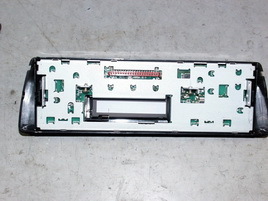 Four small screws need to be removed. 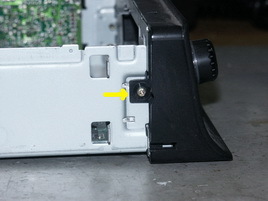 Then remove the two screws (pic #6) indicated by the arrow.Gently pry the metal pcb holder from the plastic with the aid of a small screwdriver. 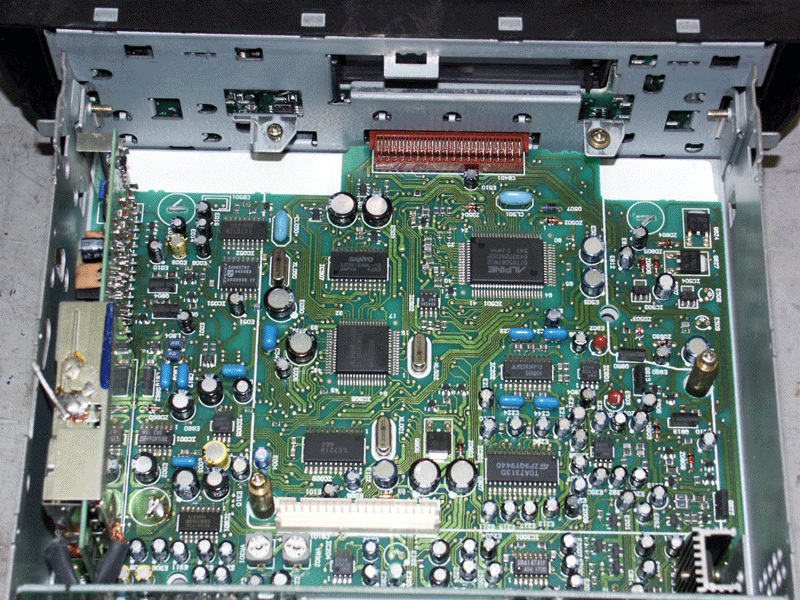 Picture 5 shows the front of the pcb with the blue light bulbs. No. 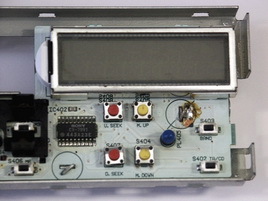 4 is a detail and shows a blue bulb with the soldered lip above/right of it and one to the lower left ( not soldered ). 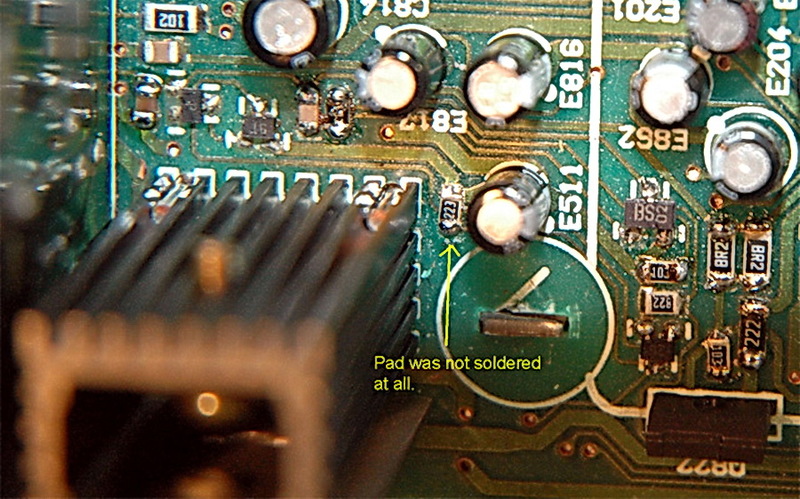 You have to unsolder both lips, left and right, and bend three lips vertical. Now the pcb can be removed, turned around and remove the bulbs by means of a vacuum desoldering iron. 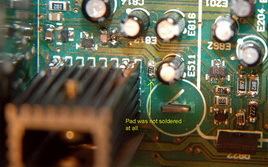 Some experience with soldering and desoldering is required here in order not to damage the pcb.